Here are the vegan items I’ve been loving this month. I have been a Brand Ambassador for Vegan Cuts for a few years now and highly recommend the subscription service. 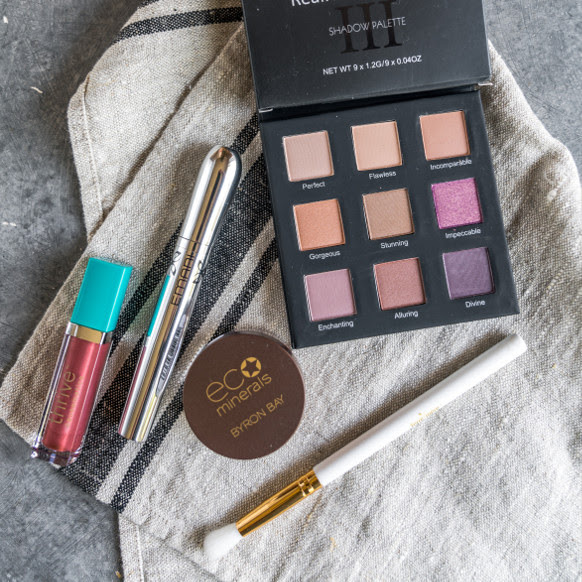 I’ve discovered many cool products through these Beauty Boxes and Makeup Boxes that have helped me transition to a vegan lifestyle, such as natural mascara, mineral eyeshadow, vegan soft makeup brushes, lip balms, hand cream, facial cleanser, face scrubs, deodorant and more. Many of the brands I use are ones I learned about from Vegan Cuts. Whether you purchase a monthly subscription or find a one-time sale box from their marketplace section, Vegan Cuts is a great way to try new vegan products without breaking the bank and without spending time searching online. You already know everything there is vegan, so the hard research work is done for you! This bakery is ALL VEGAN and serves up delicious cupcakes, baked goods and cafe items in their Cincinnati restaurant. Happy Chicks is located in the hip Northside neighborhood of my hometown. If you’re taking a road trip throughout the U.S. or live near Cincinnati, definitely stop at Happy Chicks for lunch. 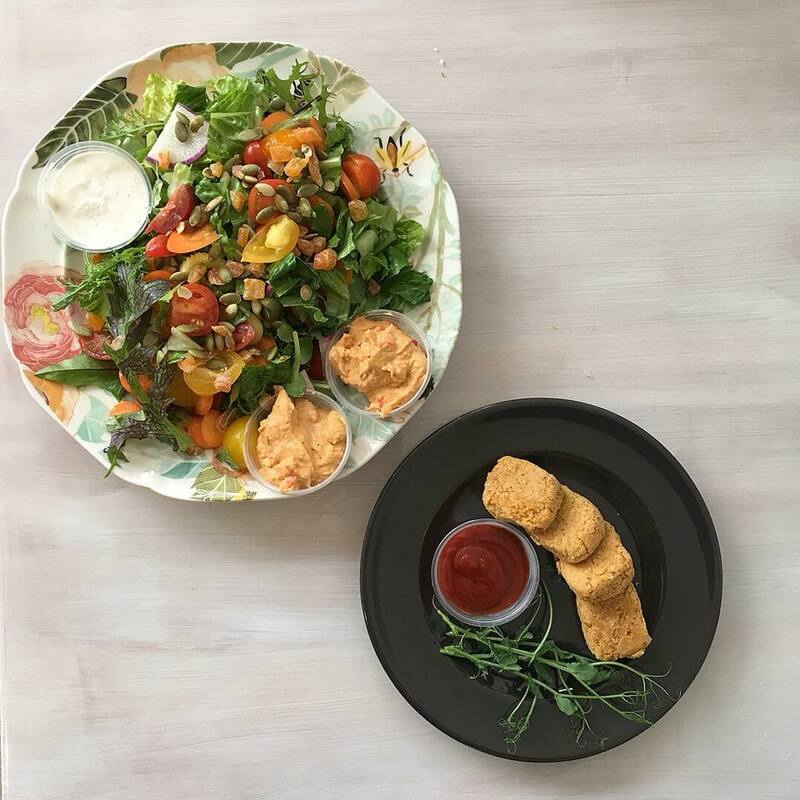 Pictured here is their beautiful salad with hummus and pumpkin seeds, along with chickpea nuggets with spicy ketchup. 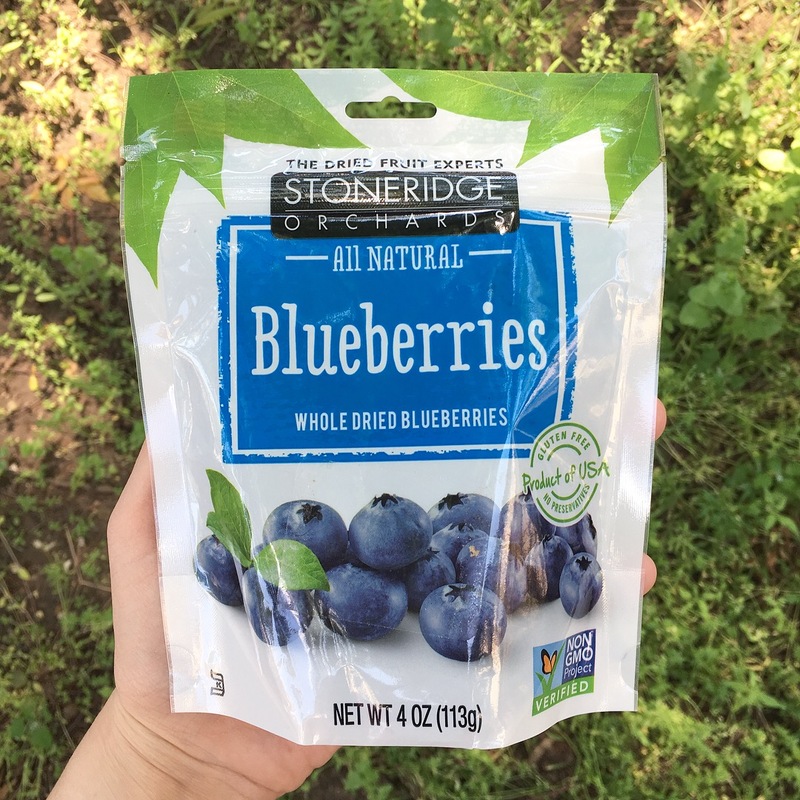 Stoneridge Orchards Whole Dried Blueberries are grown without GMOs and make a great snack in-between meals. I like to keep dried fruit like this in my bag for when I’m on the subway. 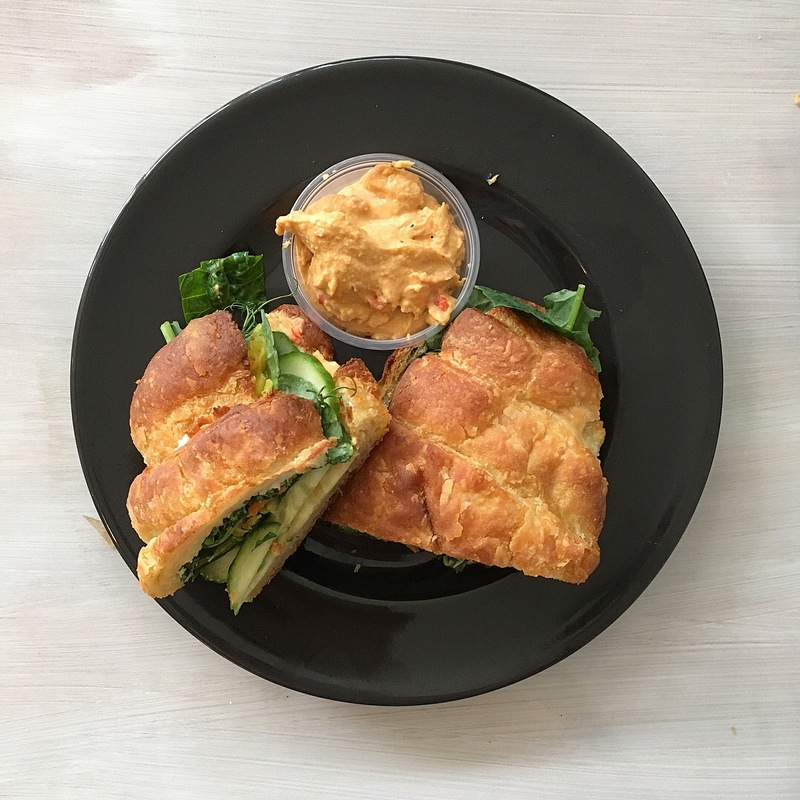 What vegan products and places are you loving lately?